Technical Car Experts Answers everything you need: Doorajar light wont go off on 2003 FORD EXPEDITION? Doorajar light wont go off on 2003 FORD EXPEDITION? 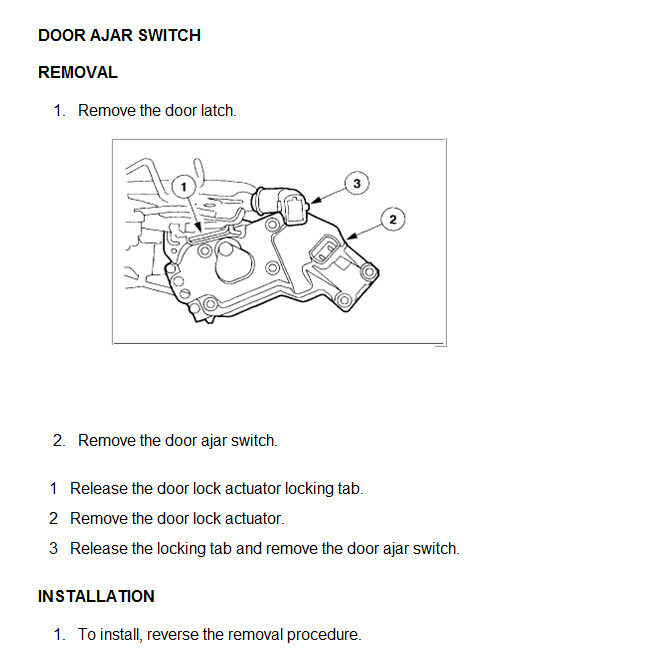 The problem you are describing is in most cases caused by a sticking and dirty Door ajar switch as each latch has one mounted on them including the read door. In some cases you can take a can of WD 40 and spray a very liberal amount in the latch and try opening the doors a few dozen time and it will sometimes clean it up enough to turn the light off again. In most cases it usually the drivers side door as it sees the most use. Try spraying all of them and see if it works. Labels: Doorajar light wont go off on 2003 FORD EXPEDITION.